Remember, this is Young’s inner thoughts as he is lying in the field, dying. 11. The question was about why the portal opened so quickly when it was supposed to open every 67 years. If Writer Song is saying it is because of faith, why didn’t Eun-soo go back to dying Young the first time around? In sum, Eun-soo’s calculations weren’t entirely correct. There was always the possibility that the portal would open at other times besides Eun-soo’s calculated dates. But at the end, Eun-soo was the one who opened the portal with her faith. 13. The question was about Son Yoo again. The poster asked if he was from the future and why he had the watch and told his assistant to burn Eun-soo’s tools. The poster also wanted to know if the person that Eun-soo wasn’t supposed to save was Lee Seong-gye. It seems Writer Song really wanted to further explore the differences between Son Yoo and Eun-soo’s treatment of history but she couldn’t due to constraints. I’m hoping she writes more about this in her novel version. 14. This poster asked Writer Song to clearly explain why so many scenes from the script were deleted. The poster can understand if they had to film centrally on sets because of the budget but he/she can’t understand other things. It must be really difficult for drama writers in general to have to write in terms of budget and other production conditions, which may be very different what they had envisioned for their drama. I would probably be heartbroken if I couldn’t get a scene I desperately wanted. LOL. Writer Song has a sense of humor! I think I remember her answering this question a little more seriously later on when someone asks again. 16. This question is one that everyone here is also curious about. The poster asked if they filmed the kiss scene, with hopes that it might be included in the DVD. Hahahaha! I guess everyone wants a kiss scene. 18. The question is about which scene Writer Song put the most effort in. 19. This question was about the 500 nyang situation- why Writer Song wrote this kind of situation. I’m getting the feeling from the way the poster asked the question and the way Writer Song answered it that there was some real situation in recent Korean issues that was similar to what happened to Choi Young. Ha! I wonder what happened on the film site for people to agree that a cute and happy Young wasn’t going to work. Curiouser and curiouser. I never got the feeling with Choi Young, the way I did with Kim Boong-do from “Queen In Hyun’s Man,” that the writer was in love with the character and I guess I was right. With Boong-do, you could the writer was head-over-heels with her own character from the way she set up this character, speech, and Hee-jin’s reaction to him. It wasn’t the same feeling with Choi Young. 22. This poster was curious about Young and his sword. She/He asked how Young was able to stay a general when he said his sword was heavy. Was the burden in his heart cured? If it was, at what point? What made him able to pick up the sword again? Other people answered this- that Young answered this question during his conversation with Gongmin in episode 2. He wasn’t going to follow his teacher’s footsteps. Writer Song replied that the people above answered for her. 23. Once again, this question was about why there were so many missing scenes from the script. The poster seemed pretty upset about it. 24. The question was about what message Writer Song wanted to deliver through the drama. Or maybe, “Even if you live one day, love.” Does that sound better? The one above is more true to the Korean, I think, but in English, the second one sounds more smooth. Anyway, I love the message. To be continued with Part 3. So the writer was as frustrated as us, viewers, about the deleted scenes that she had to take sleeping pills! Really wished that the budget/filming situation could have been better. The reply given by another poster about the 67 years really helped to clear my doubts. It sounded logical. thanks! cant wait for part 3! But this drama was in the works for several years already. They had to change actors, and story line but still ended up racing against time. I wonder what went wrong. And for a writer to feel this frustrated means we, viewers, signed up for a drama that’s supposed to be better than what we actually saw. Nonetheless, Faith is not a failure. Hope writer Song, the production team and actors don’t take it this way. They had to make do with what’s available in terms of budget and time. I still find the drama’s insights simply brilliant and cut above the rest in terms of depth and heart. Well, Writer Song joined the project late in the game and she had to work with a lot of the changes required by the lawsuit from Dr. Jin. I think there might have been other reasons why the drama was changed so much. Here in the US, for every writers must have a copy writes for a story (patent) same thing. If a story exisist somewhere or a history, you must have permission to write or re-write a portion of a story. It gets more complicated, but that’s a simple version of it in the Film Industry. “Harry Potter” took 2 yrs for patent..approval started shooting after 5yrs. That’s inside info. I really love that. I think the problem lies with the low ratings, hence the reception of the Korean audience dictated their budget so as Writer Song put it, she can’t be always sure that what she wrote would be possible to film for the production team. I understand that. Besides, we shouldn’t blame them all the time, they insisted on kisses so we should be thankful for those kind of touches, right? Hihi. People asked me to translate already. I don’t think I can translate all of it, if at all, but first I have to get my hands on it. Let’s see how it goes. Hi Joon, how are you? I can rehab myself from faith by sending LMH message on his FB everyday, maybe 4 or 5 times a day. I don’t care he would read it or not. Haha.. It seems he doesn’t understand english very well.. And secondly I intens following his trip to Philipine for a few days! I do miss to get a long with another girls in this blog. Or just watch them having a party, discussing and gossiping here. I miss daejang and eun soo so much, that’s why I don’t wanna be disappointed if I couldn’t met them (faith family) here again, that’s why I’m better not to open your blog. Because the faith is over! But I get recover now, day by day, little by little, it’s just a story not a real life, there’s no daejang, there’s no eun soo. There’s only LMH and KHS. But the story would be still living in my mind. And sometimes I’m smile myself when I remember part or the scenes that memorable in my heart. There’s a video of Bench Fun Meet that I saw, one scene on stage, between LMH with a lucky girl to have poster with his autograph, was he helped her posing by holding his poster in front of her from behind with his two hands. It reminds me of the scene when daejang told of his sword to eun soo and help her hold the sword from behind with his two hands. In the video I heard the girls screaming very jealous to see LMH was very gentlemen to treat women. LMH “Dancing. I feel my dance is not bad but fans are making fun of me so I won’t dance anymore.” Haha.. I remember when eun soo took a flower and put it on his ear, see how his reaction when eun soo laughed at him. Remember how choi young cleaned up him self from blood before seeing eun soo. Some characters daejang or incident on faith turns out there at LMH. By watching how he treats a woman, his attitudes, his smile and body languages, I think LMH is a very kind and warm person, people around him must love him so much. Just like wudalchi love him and adore him. Shall I could erase the shadow of daejang by seeing LMH in real life? I really miss him. Ohh Joonni, I’m so easy to get addiction, and it takes so much energy, that’s why I won’t watch KDrama for a few while, maybe I will wait LMH next project on early 2013. Please be sure you would recap it. Haha.. Can I not watch another drama? Dear Joonni… thank you for your monumental effort reading the scripts and Q&A with Writer Song, to share with us non-Korean speakers. 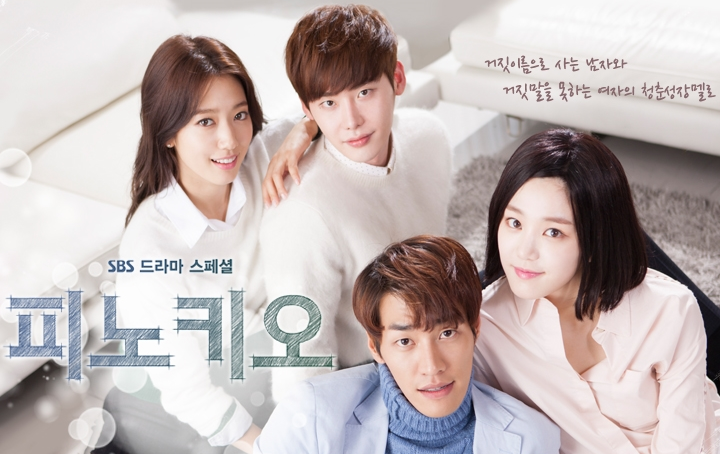 I appreciate it so much – me, the still-unable-to-let-go Faith (or more apt, Choi Young-Eun Soo) addict. Can I give you and everyone a great big HUG? I have one question. ES mentioned to CY that he’s so famous in heaven, that there is a song about him. Does this song really exist? If yes, I really hope there’s a youtube link? 🙂 Thanks so much and another HUG! There is a song, just like ES said, but I can’t find it on youtube. I’m really enjoying reading the q&a with writer Song. I find it interesting that she wasn’t in love with her character of CY like the writer of QIHM. How could she not fall in love with a guy like CY?! 🙂 I also thought it was cute that they were wanting more kiss scenes…didn’t we all. LOL. I wonder how this story even came to her. Whether it was from a novel, real people, or a drama….what was it that sparked her interest and compelled her to in write Faith. Maybe it is in q&a part III? I think it is very touching that the message she wantd to impart to her readers/the viewers was that we are to live each day lovingly. That is really beautiful. It would be so awesome if she is doing a book signing for the novel when we are in Korea! It boggles my mind how a character she wasnt in love with came out so well on screen – maybe we need to give LMH a lot of credit for that. She might not have loved CY, but he did and made his character come alive. I think he got who CY was and how he should be portrayed so on set they took out the cute, happy, cheerful sides to him that she wrote in – makes me think that’s the type she goes for in real life (the real LMH). if CY was suddenly cute or cheerful, I woul have wondered what got into him. You’re right, Softy. LMH does make a legend in FAITH. drama) I love whoever put him/herself to the character and bring it to live. The people like this are doing their job not just because of the money, but also with passsion and love. I am the same as you chikoku… Wasn’t really a big fan of LMH before but because of FAITH, and his portrayal of Choi Young I have come to admire him…really admire him… And somehow made me hope that there is such a Man as Choi Young for real out there… Someone who loves as passionately as him and who is as honorable as him…. Sigh… He made me believe… I love that even writer song said LMH is Choi Young now on that scene in episode 22… Just love that…. I think LMH really has a natural knack for interpreting what should happen…and not in a forced way. Like the scene after ES is kidnapped, and CY patted Dae-mans head, in a “well done/glad you are okay/thanks” affectionate manner towards one of his “kids” who had just been injured trying to protect his beloved general’s woman. Cutesy is just not part of CY’s warrior image. teeheehe! “Fairy godmother.” 😀 I feel so old. Aww Jooni, you are not old (Pst, I’m probably older than you LOL). But seriously, I have started to novelize episode 1 (am planning to translate it into German later for a friend who isn’t fluent in English) and IF Writer Song publishes the novel, someone could translate the changes made instead of the whole thing. This way we would get the complete book. without needing to translate it all. Writer Song replied, “I disliked him a bit while I was writing. ㅎㅎ It was because it hard writing lines for a character that used succinct speech. Joonni, could you please explain this further, “hard writing lines for a character that used succinct speech.” What do you think she mean by that? (Succinct means concise, to the point, clear so would not that be easy to write???) That made her dislike the character??? One would think such a character would be delightful, someone who does not play games, straight forward and sincere. Different from the usual. I think I am missing something. Thanks. I have to say that writer Song’s ability to use so few words is what made me so enamored with drama in so many ways. I think she uses language SO well that I just melted with it so many times. So many times. I love her writing. Yes, that is what she meant by succinct. I can imagine it being really hard to write for a character like that actually because you have to find the balance between making everything clear and covering all the points you want to cover without being too verbose. I struggle with that too. Thanks a million for translating the Q & A. You are really a god sent for us non-Korean readers/speakers who like Faith the drama dearly and still cannot get over it! Don’t think too much is what I have to tell myself. 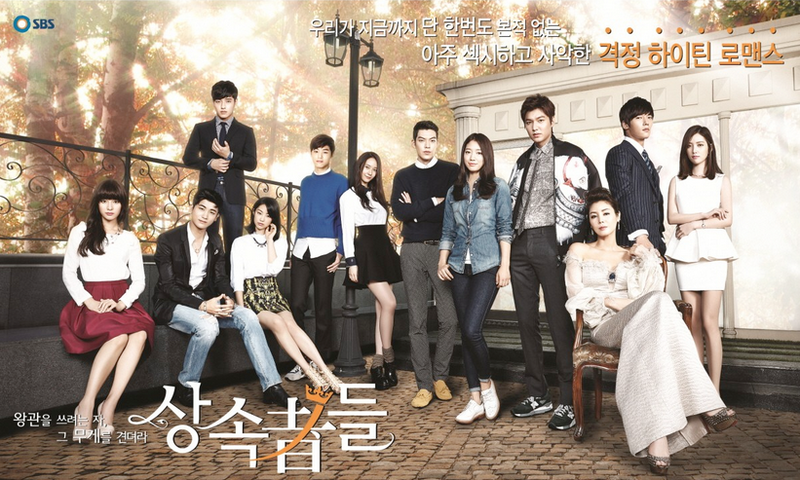 Just enjoy the story, Lee min ho and the cast’s performance. For instance, if faith causes the portal to take one ES in and rejected KC, and the hesitation puts her in a different time when she tried to return, then I don’t understand how Choi Young was able to bring ES through the first time. He had faith and nothing to lose but she did not. She was grabbed. I was very affected by the reactions and emotions shown at the time they went through the first time. No matter how good looking he is, he is a psycho to ES. He has known himself to be righteous and noble but had to do all this to her, grabbing and carrying her off. Choi Young would not harm anyone just like that but had to go through with it. 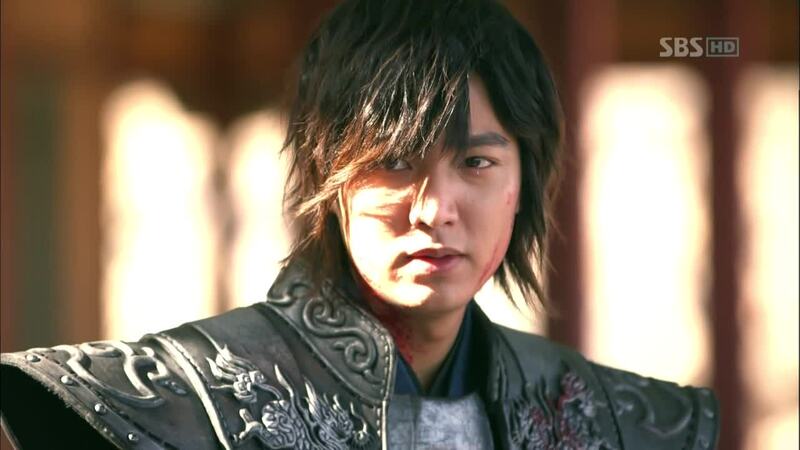 Choi Young had killed many people. But I haven’t see KC or DC killing as many. Twisted. To answer your question, the ideal of being a warrior is always defend with no questions ask.. Ask after.. if they survive the cause of approaching with intent to kill! CY had no reason to questioned an order given by the King, but he hesitates in the early eps. As to the other two they are noblemen, not warrior!! Exactly. How difficult it must be for CY, killing more than the villainous noblemen and grabbing a defenseless woman begging not to be taken . 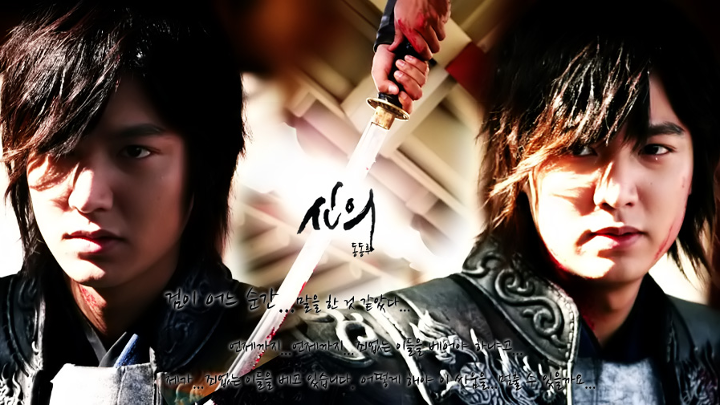 Writer wrote it and LMH portrayed the reluctant soldier perfectly. Had to go through everything he would not have done in his nature, but did. HIs hesitation came later, when his hand started to shake. Sword became heavy. Totally sympathised with his situation. Agree with writer that LMH is CY. Most book writer’s embellish the story and wants the story to be told as is!! But along the way, screen writer’s that collaboratives w/ writer Song had to cut corners for Production purpose. There are so much more that could be done..but couldn’t!! I would of loved to work on that Production..!!? I got the feeling that Writer Song did not have a clear idea on how the portal worked actually, like she was thinking if one actually exits, no one would exactly know how it works either. First thank you for everything you did. Episode 24 made Episode 1 very powerful – there is much more to it and now I understand the story more and why LMH said his favourite scene in ep 1 is the beginning and also the end. My favourite episode is ep 1 for many reasons. Thanks for making it possible to realize and understand the story by putting up the scripts, the Q and A and your explanation. wow, the writer of Faith is so humble and funny. Thanks for this. I tried to search what the legal case was with “Dr. Jin” in particular but I didn’t find any English article about it. I saw its trailer but haven’t watched the drama yet (but now I’m intrigued). What was really the issue about apart from a similar time-travel theme for Faith to be cut short(er) than how it would have been?? Yes. I think they are 20 episodes. Really enjoyed it, I like Hyun Bin acting and the dialogues for his character were really good. First drama I saw Ha Ji Won but after that I watched Damo which is very good. Yes, I highly recommend it! It’s has a little bit of everything, enjoy!! Sussie, thank you so much and for the link, I appreciate it very much. I do need to start watching something else to get my heart of Faith just for at least an hour a day :). Thank you for the link, I am getting so used to reading the commentaries. Joonni, thank you so much for doing this. I must say, I love, love, love LMH, but I truly miss our daejang and imja, I miss their kind and understated loving. I was just watching the show “Parenthood” on hulu last night and there was a kiss scene, and I almost felt, “oh too much, too much” I just love the understated loving that is also so powerful. Thank you for helping us understand more of it. I believe that this is one of the main reasons why she has decided to write the novel :)… she is writing it for all Faith´s fan… including herself! Faith is like writer Song’s baby. I can imagine her frustration when it couldn’t tell the whole story like she intended. I sincerely hope her novel will be translated so that those who are Korean illiterate can enjoy. Here’s to the story teller, Writer Song and to Joonni for a wonderful blog! Sorry, I meant Korean language illiterate’s like myself. I know this is an old show but I would like to check why does the future Eun-soo say the queen will die and king will not be king? So does that mean she was with Choi young before and they had escaped before and that is why the queen died? And she is telling the present Eun-soo not to run away even it is her last day. So does that mean she is with Choi young the 2nd time already?